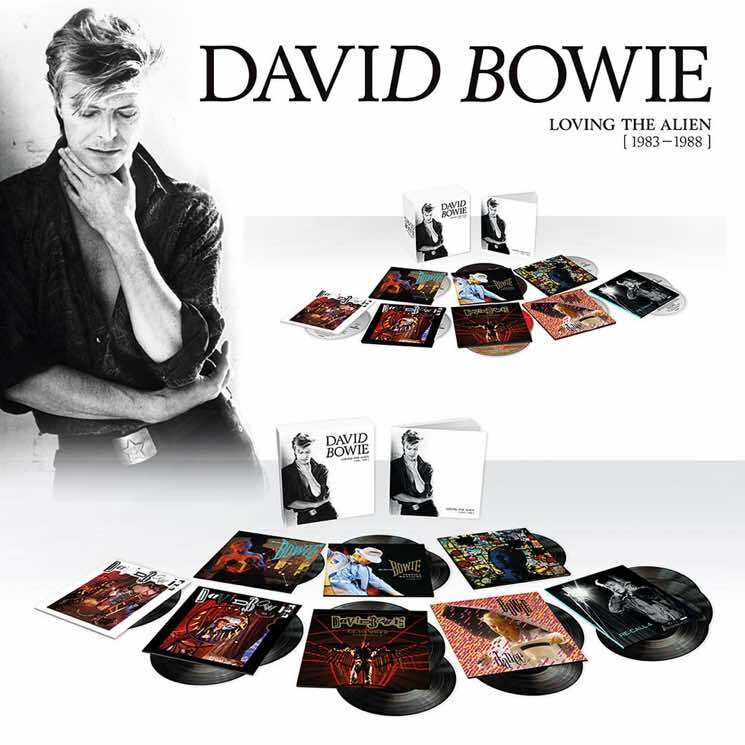 David Bowie's 1983 to 1988 albums have been collected in a new box set dubbed Loving the Alien. The 11-CD/15-LP is due out October 12 via Parlophone. The sprawling set is the latest in a string of career-spanning Bowie releases and follows Five Years (1969-1973), Who Can I Be Now? (1974-1976) and A New Career in a New Town (1977-1982). The upcoming box set features remastered versions of Bowie albums Let's Dance, Tonight and Never Let Me Down, as well as an entirely new production of the latter. The 2018 version of Never Let Me Down was remixed by Mario McNulty, with contributions by drummer Sterling Campbell, Tim Lefebvre, Reeves Gabrels and David Torn. It also features string arrangements by Nico Muhly, and a cameo by Laurie Anderson on "Shining Star (Makin' My Love)." There's also plenty of live material to hear, including the never-before-released Serious Moonlight (recorded in Vancouver in 1983) and Glass Spider (recorded in Montreal in 1987). If that's not enough Bowie for you, the set also includes Re:Call 4, a compilation of "remastered contemporary single versions, non-album singles, album edits, B-sides and songs featured on soundtracks such as Labyrinth, Absolute Beginners and When The Wind Blows." Finally, Loving the Alien includes an exclusive remix compilation called Dance, which features 12 remixes from the '80s, many on CD and vinyl for the first time. The collection takes its name from an unreleased Bowie remix comp that was originally supposed to see release in 1985. The whole box set will also be accompanied by an 88-page hardcover book. See full tracklisting details here.